Between 1892 and 1954, more than 12 million people immigrated to the United States through the portal of Ellis Island. It had in 1890 been designated by President Benjamin Harrison as the first federal immigration station. When it opened on Jan 1, 1992, Annie Moore, an Irish teenager travelling with her two brothers, became the first immigrant to be processed at Ellis Island. 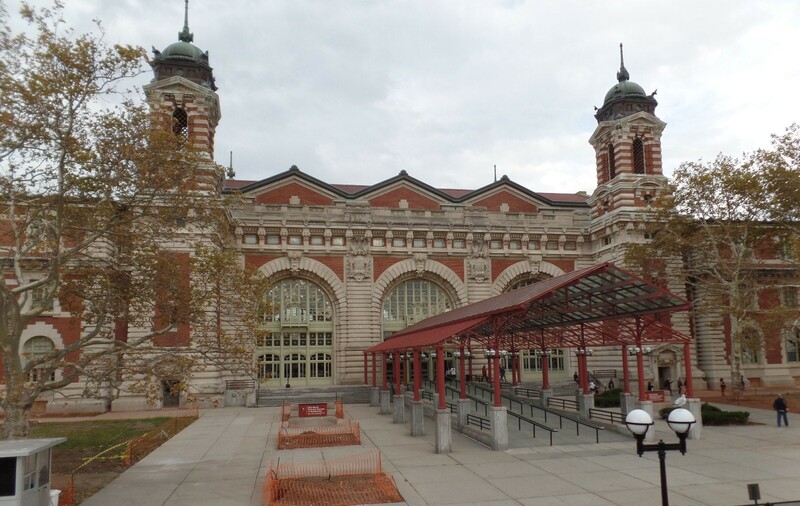 Arrivals at Ellis Island could expect to spend three to five hours there during the inspection process. Only about two percent of the people who arrived were turned away. Those that were turned back were believed to have an infectious disease, were judged likely to become a public charge, or had been engaged as an illegal contract laborer. 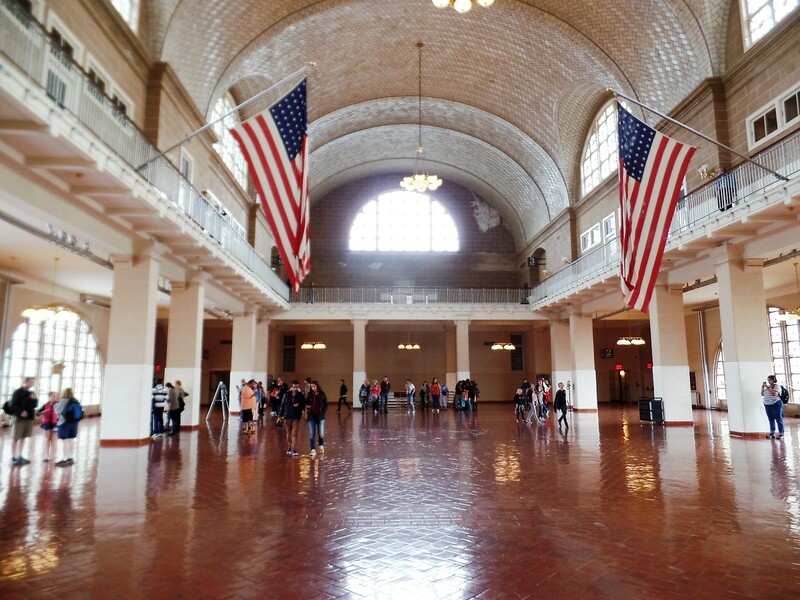 The first stop for immigrants arriving at Ellis Island was the Registry Room. It has been restored to the way that it appeared in 1918. 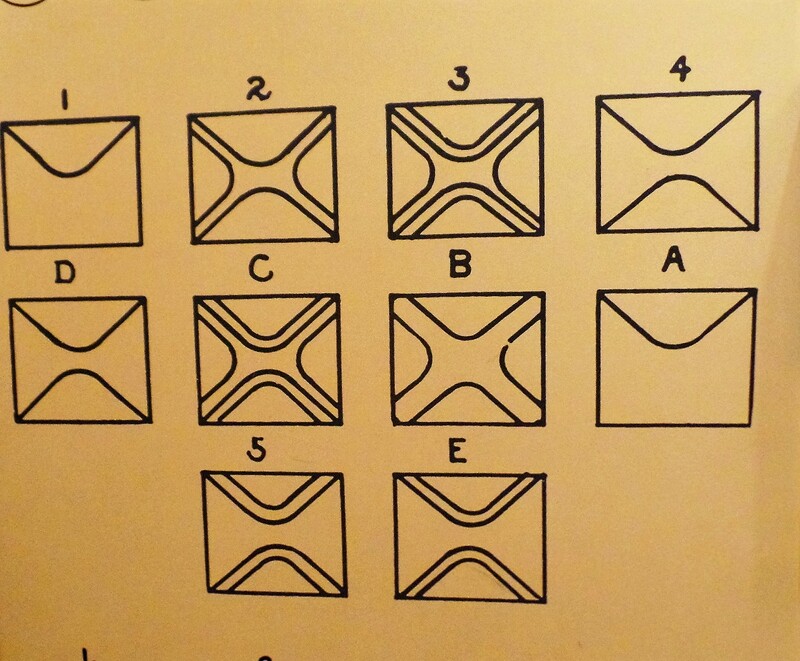 Part of the inspection that immigrants were given at Ellis Island was a mental acuity test like the one above. Here they were asked to identify the identical images. 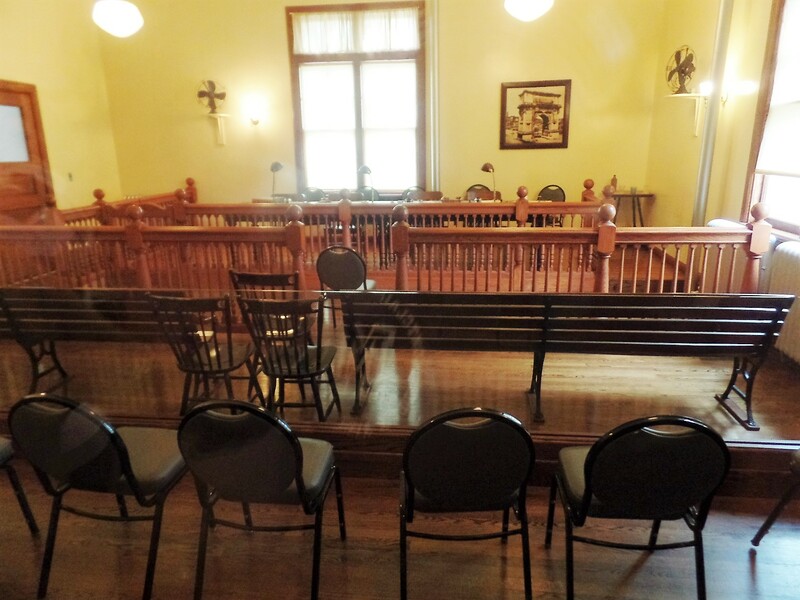 Immigrants who were being held for a legal hearing were sent here. 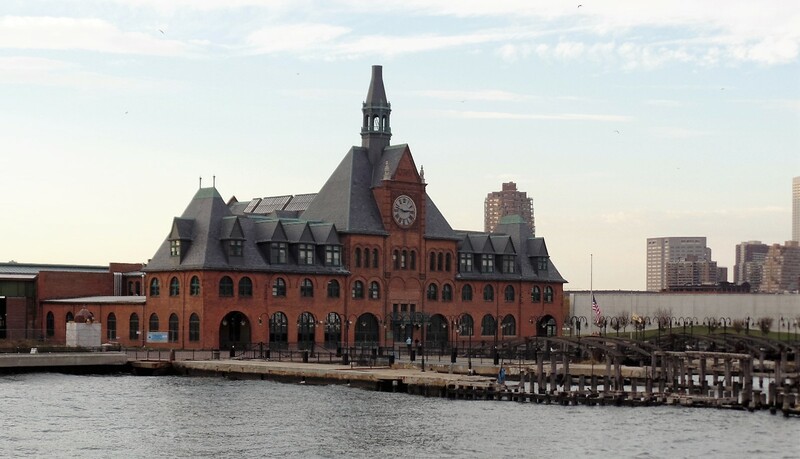 The next stop for most was the Central Railroad of New Jersey Terminal in Jersey City. More than 10 million immigrants entered the country through here. 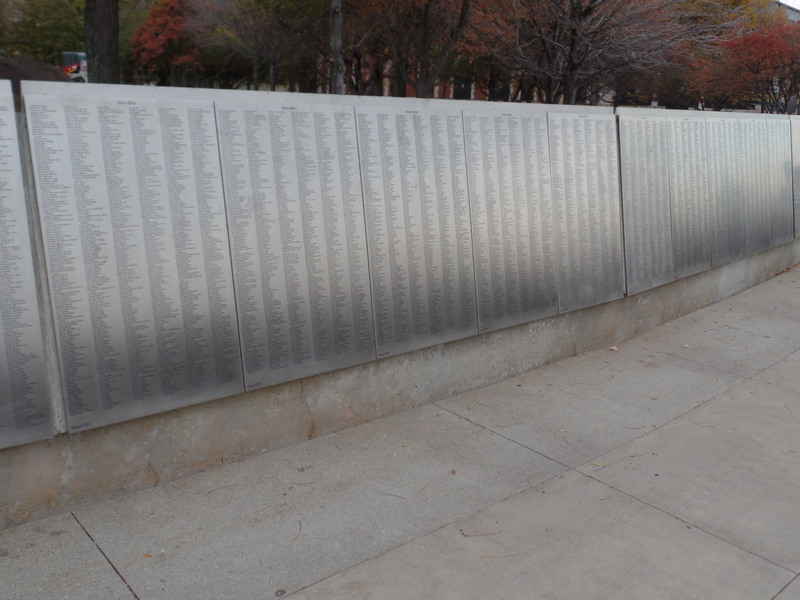 The American Immigrant Wall of Honor currently lists the names of more than 700,000 perople who immigranted to the U.S. This entry was posted in History and tagged Ellis Island, history, immigrants, New York, Statue of Liberty. Bookmark the permalink. What a fabulous picture post-Ken! I wonder if my grandparents names are on that Wall of Honor. You’ve made me want to visit there to see. I have their immigrant papers; well ancestry website did. Ken, I’m a big reader and I love those series that talk about families arriving in the US. Of course,many of them talked about immigrants arriving at Ellis Island and all the emotions, fear, hope, excitement, etc. But while I read about Ellis Island I have never before seen a photo of it and I want to thank you for sharing this. It will add another dimension to my reading from here on in. Pretty impressive place as was the New Jersey Rail Terminal. Even though I myself did not have relatives who arrived through Ellis Island you can’t help but be moved by the experience of being there. Great photos of Ellis Island. I imagine it is quite a moving experience to visit this place, especially if you have ancestors who came through here. Great pictures of Ellis Island. We were there 5 years ago. Coming from two parents that were immegriants , I feel all these people are so brave to come here with the hopes to improve their lives. It’s very inspiring. I love the picture of the exhausted small children who were understandably tired from such a long trip. So funny to think those kids went on to be someone’s grandparents with their story to tell. I believe both sides of my family came over in the 1800s but I’m not sure when or if they came through Ellis Island. I admit that New Jersey’s persistent squabbling on behalf of more rights to the Statue of Liberty and Ellis Island is unseemly. However, New York … well. I reduced my love to fits of gasping laughter by advising, “Enter the phrase ‘cornelius vanderbilt new jersey must be free’ into Google”, and my love learned some of the history between the states. Great photos. 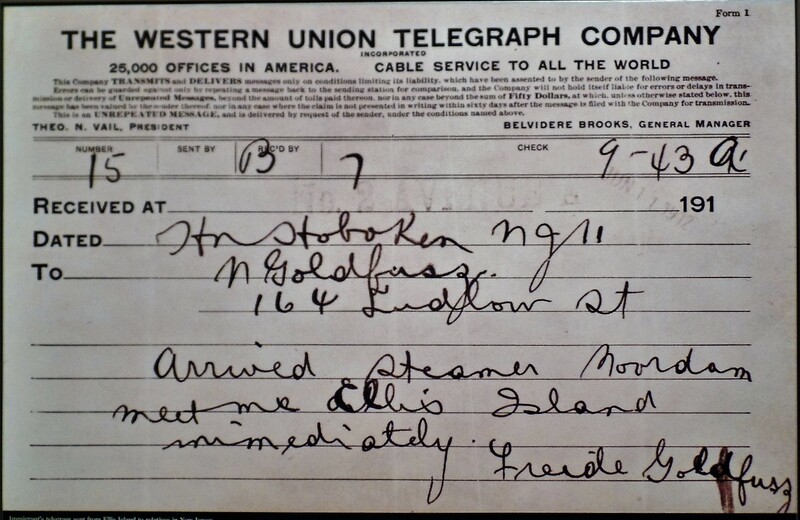 My great, great grandparents came from England and transited through Ellis Island and settled in New York. I’ve always been fascinated by it and still hope one day to be able to visit. What a grand, stunning building with high ceilings! I wonder what was going through the minds of the immigrants arriving in America with their life ahead of them. Were they scared, excited, overwhelmed? Tired as well. I think it must have been pretty intimidating going through all the tests.I used to think Ellis Island must have been a pretty scary place but when you consider what many peoples’ attitudes towards immigrants are today, maybe it was actually a pretty welcoming place. Another reason to get back to NYC for a visit. Great pictures, Ken. Like you, my ancestors did not come through Ellis. They came in in the 1700s, so who knows where they landed? When I retire, I’ll figure that out. My brother-in-law’s (Italian) grandparents would be on those lists–I wonder about the wall. What started that? The wall is actually a fundraiser for the museum. It includes the names all immigrants not just those who arrived at Ellis Island. Costs $150 to have a name listed and includes one-year museum membership. You can search the passenger lists of the people who arrived at Ellis Island at the Ellis Island web site. Thank you for this post. When I was in NYC over Thanksgiving in 2012, I was able to take a harbor cruise but not tour Ellis Island. I only got to see the main building as the boat bobbed in the water. The same with the Statue of Liberty as well. If I remember correctly it was because of water damage caused by Hurricane Sandy. This post and its photos made me think of the scene toward the end of Moscow on the Hudson – good film, if you haven’t seen it – in which a group of immigrants are sworn in as citizens of America: I’m not really a ‘patriotic’ guy (at least by most people’s definition) but still found it heartwarming. I also had to restrain myself from making snarky comments about the wall builders. I’ll never understand how people who are descended from immigrants who risked everything to come here and start a new life can turn around and try to deny others that opportunity. Thank you very much for this informative and timely post, Ken. I do think we all need to be reminded that most of us come from immigrant stock, whether it was within the last 10 years or the last 100 years. I think for that reason, we need to keep our minds and hearts open to those who are now fleeing their homeland–just as my grandparents did at the turn of the 20th Century. So many of us have parents, grandparents, great grandparents who risked everything to come here and build a new life for themselves. What would they think if their descendents wanted to deny others that same opportunity? Ken, what a fabulous pictures of Ellis Island. I cant wait to visit Newyork in January. I had heard of Ellis Island before, but I’m ashamed to say that I didn’t remember much about it. This post helped me earn a lot. Great pictures. I went to Ellis Island a few years ago. I was humbling to see the names of all the people who came through there. Makes you wonder if they made it, did they find the land of opportunity and freedom they were seeking? This is such an excellent post. Thank you so much for sharing. All of my grandparents were immigrants who came through New York and I still haven’t made it to Ellis Island. Thanks for this enlightening post, Ken. Ken, this is a fantastic post. It’s a fine reminder to us that our country belongs to all nationalities and all nationalities belong here. None of us would be here, except for the Native Americans, if it weren’t for immigration. Great post, I kept picturing my grandparents coming thru Ellis Island. 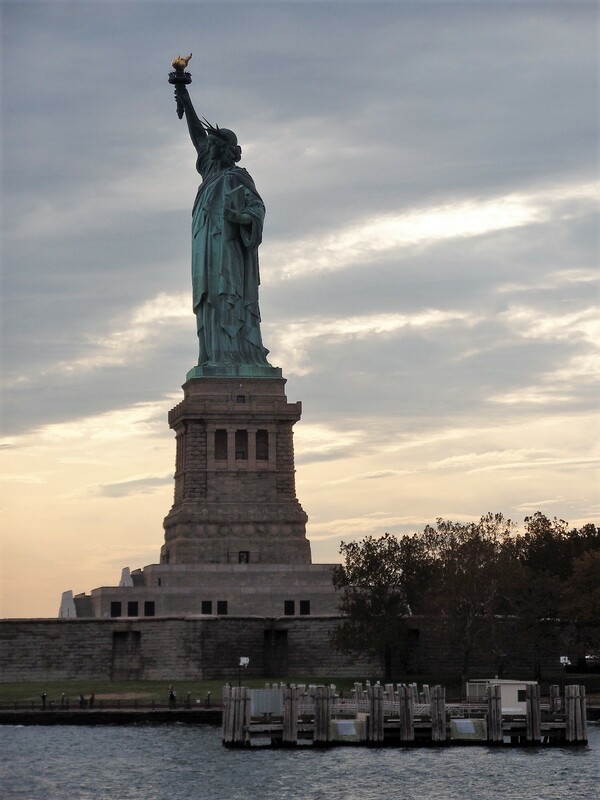 Thanks for the images and text…..it gives me motivation to visit the Ellis Island.